Getting up and getting going this morning wasn’t that easy; it was below freezing, there was frost on the cars and the bushes (some of which are looking pretty dead) and my bed was nice and warm. So when I did get going, I decided I wanted something bright and sparkly to warm things up. Since then I’ve been looking for excuses to wear the set; the colors are lovely, the design is very me, and copper is actually a metal that I adore. The cardigan is new, although I’ve had it in the closet for a while and forgotten about it. I need to go through and re-fold all my cardigans (you should never hang a sweater) so that I can see more clearly what I have. I failed to change out my purse this morning, so I am still carrying the Brahmin. However this picture lets you see the necklace and the color of the cardigan more clearly. While I’m still not wearing makeup (ok, a little concealer), I have been enjoying playing with lip colors lately. I now have three of the Fresh Sugar Lip Treatments: Plum, Passion and Rose. This is the Passion, which is the closest they have to a true red, and my favorite new color. It’s strong without being overpoweringly red. Yesterday’s shopping trip was a complete failure, which is pretty rare for me and that Marshall’s. I usually find great stuff there, and I would be fibbing if I said I didn’t find some good stuff; just nothing quite right. For instance they had some Kate Spade bags for $199, but the only one I would have wanted was in colors that just weren’t what I wanted. I also found a gorgeous Cynthia Rowley hinge-top satchel that was just the right size and shape, but the COMPLETELY wrong color for me; a pastel teal that just doesn’t work with my wardrobe. I had to work to walk away from that one, since I kept trying to convince myself that I could wear it with other stuff if I just had a scarf that pulled it together, but I couldn’t summon up a mental picture of the overall outfit; I’m just not a pastel kind of girl. Clothing-wise was similar. They had some NYDJ (Not Your Daughters Jeans) in my size, but the rise on them was extremely high and would have been uncomfortable to wear for any time. I am currently consoling myself with the knowledge that I have two gorgeous bags coming from flash sale sites at excellent prices. I also have been picking up a few pieces of clothing that I can’t QUITE wear yet (it’s too cold still) but which will be terrific once the weather warms up. I wasn’t looking for anything specific, so it’s not a big deal that I didn’t find anything! Very cute! Love the color of that cardi! That lip color is gorgeous! And I love your open front cardigan. Last week you inspired me to try twisting my scarf and wearing it as a “necklace”. I loved it! 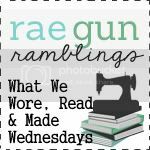 Thanks so much for linking up this week. I’m glad you liked that look. I’m planning to make it a staple, since I think there are some outfits that need the color but not the “weight” of a scarf! Oh I love your outfit!! That top, cardigan and necklace are gorgeous!! It drives me nuts, but Marshall’s and TJMaxx are weekly stops for me; I try to go in and see what’s new and interesting regularly, because what they have changes all the time! Nice, can’t wait to see the new purses! Definitely – Every time I see or feel the sequins, I smile. That’s what you need soemtimes! Welcome! Your cats are adorable and, unlike mine, seem to actually like one another! Yes, I could seriously wear sequins every single day! Loving that top! 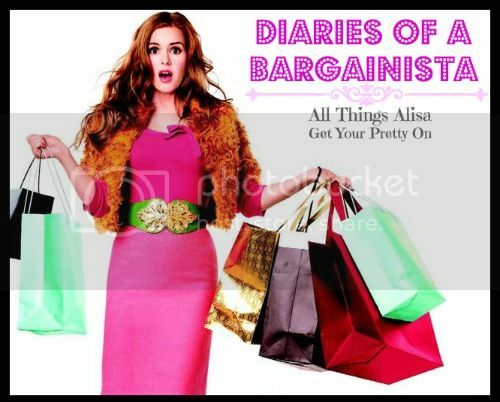 Thank you so much for linking up with Diaries of A Bargainista! I have a few other things with subtle sequins on them that I don’t wear nearly often enough. I need to work on that! I really love that turquoise bag. It would totally work for me in the summer…well even now since I’m in So. California and it was 78 yesterday. Gotta go to Marshalls soon! And it’s a terrific size. I love marshalls. I just wish you didn’t pretty much have to stop in every week to get the good stuff. I love the outfit. Sequins always make everything better (except probably a funeral).